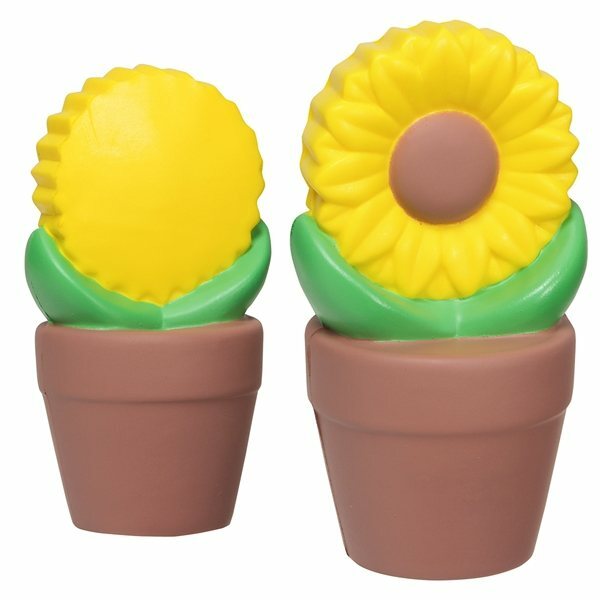 Sunflower in pot stress reliever, 2" x 2" x 4". Nice product and good quality My clients were very impressed with the quality of the product and they have requested that future items be selected from Anypromo. The whole process of ordering with your company went by smooth. I could not happen to be more happy. It is extremely cute and practical. the item is of great quality and the print job was great too. AnyPromo.com's talented consultants have some great gift recommendations with your name on it! Dealing with your people, I put my trust in your description and have not had any complaints. Product meets our requirements.